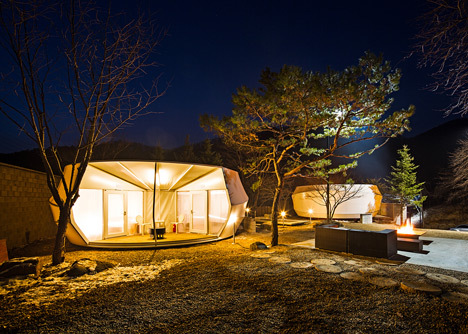 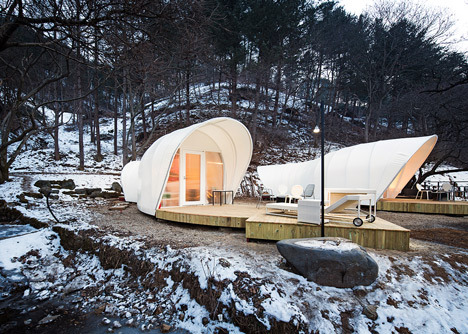 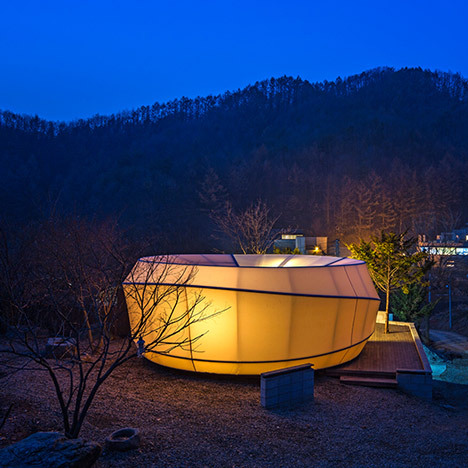 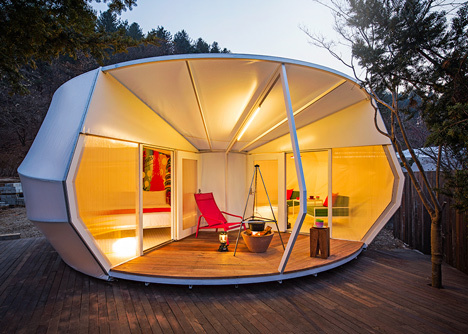 These tents shaped like worms and doughnuts were designed by young studio ArchiWorkshop for a remote campsite in Yang-Pyeong, South Korea. 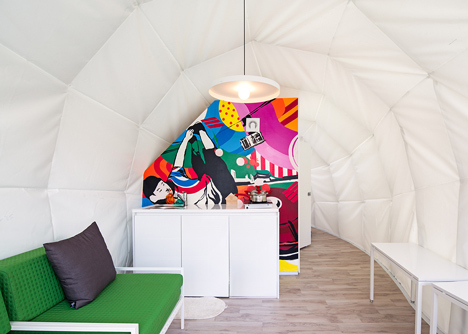 Entitled Glamping for Glampers, the tents are named after the growing trend for “glamourous campsites” where visitors can sleep in tents but don’t have to go without domestic amenities including toilets and kitchen facilities. 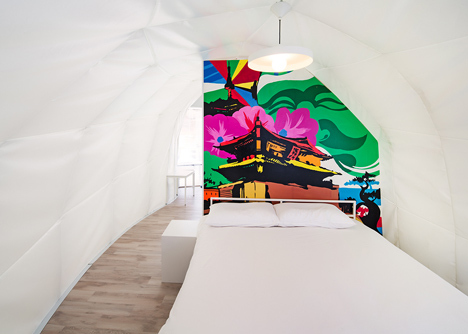 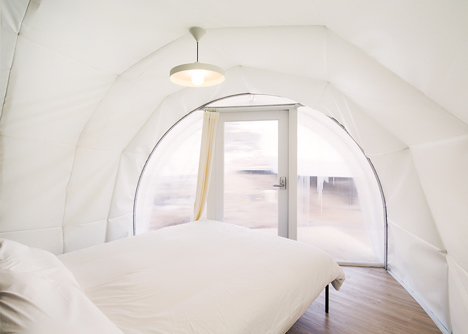 The skins of the Glamping tents are made from an engineered fabric membrane that shields the interior from UV rays and is both waterproof and fire-resistant. 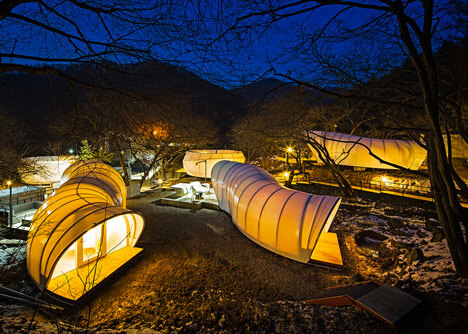 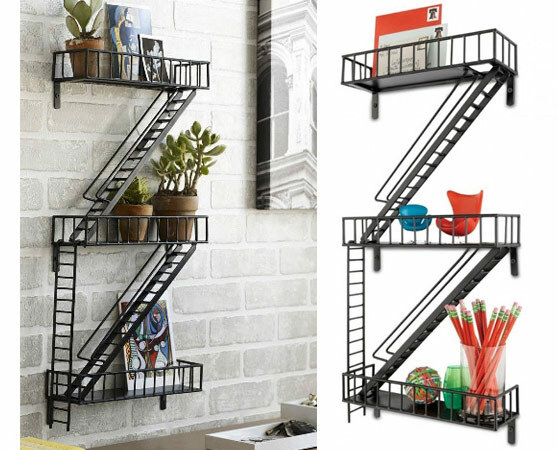 Two layers of the membrane are stretched around steel frames to give the structures their curved shapes. 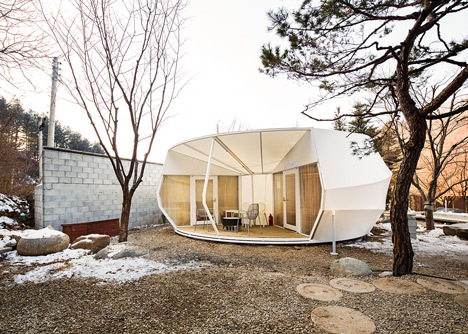 Each one also has a glazed entrance to allow some daylight inside.